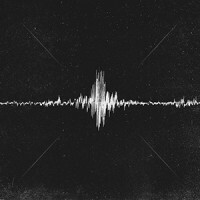 Bethel Music's latest album 'Victory' features 14 confident declarative songs recorded live at Bethel Church. The album is inspired by the story of King Jehoshaphat and the unlikely victory won by sending worshipers to the front lines of battle in 2 Chronicles 20:22 "As they began to sing and praise the Lord set an ambush against the men who were invading Judah and they were defeated." Along with current worship leaders Brian and Jenn Johnson new emerging voices from our worship community are featured on this album such as Emmy Rose and Bethany Wohrle. Outside voices include Molly Skaggs part of the Cageless Birds ministry led by Jonathan and Melissa Helser who brings a grass-roots spirit with her song "Ain't No Grave" and Daniel & Harvest Bashta with their new song "Drenched in Love". Many of the songs on this album were forged in the midst of extreme circumstances ushering our community into a place of unified dependence where we learned to fight battles God's way - with worship. Mighty declarations like "I raise a hallelujah in the presence of my enemies / I raise a hallelujah louder than the unbelief " were written the very night that Joel and Janie Taylor a family in our community who helped found and launch Bethel Music faced the possible loss of their son Jaxon. Underneath the corporate declarations of faith articulated in songs like "Raise A Hallelujah" "Living Hope" and "Victory is Yours" stand testimonies of God's miraculous power to bring breakthrough in seemingly impossible situations. Bill Johnson has been teaching our community to give praise before seeing the miracle: "Take the very thing you're struggling with and bring that as an offering to Him. We look at our situation put it before the Lord and give Him praise and thanksgiving before we see anything change. The Lord will come and work out miracles on our behalf. We give Him an offering when it doesn't make sense." 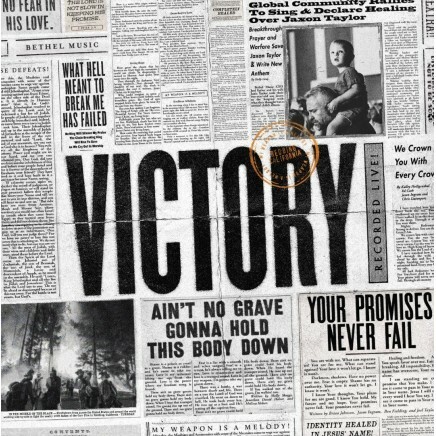 'Victory' offers a diverse sonic landscape ranging from rustic gritty tones in songs like "Ain't No Grave" and "Stand in Your Love" to more anthemic familiar sounds in songs like "Promises Never Fail" and "Victory is Yours". With an unwavering confidence in the goodness of God, 'Victory' invites listeners into greater faith and ushers them through the doorway of breakthrough.